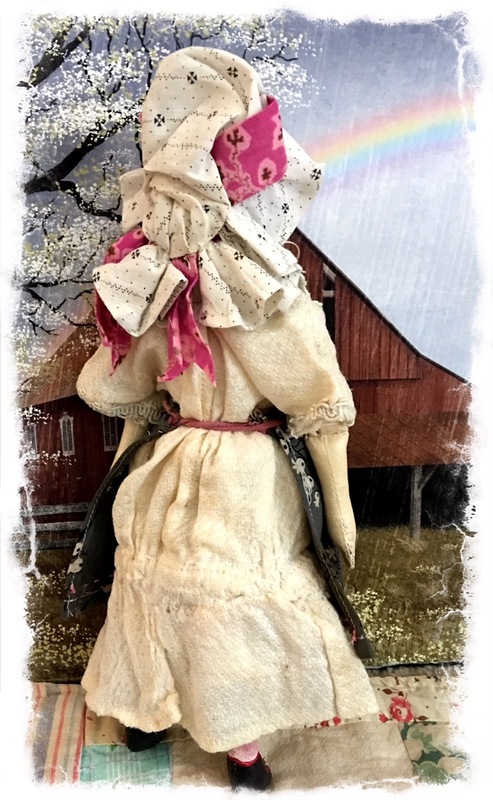 I make dolls in clay and cloth that are inspired by the life of American prairie. My dolls are reflective of, but not copies, of the kinds of dolls that would have been available in the American past. 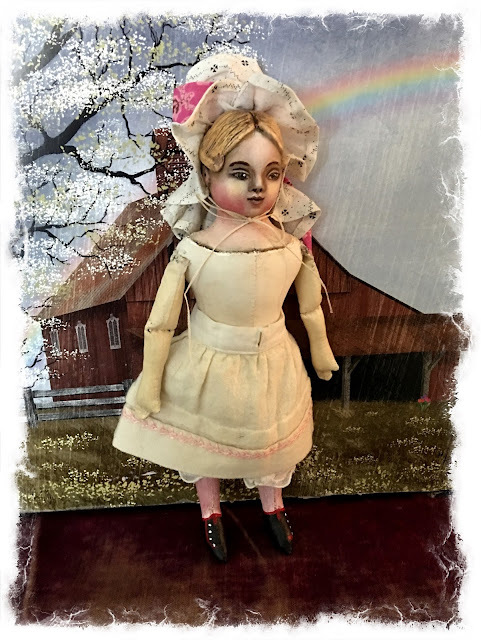 My dolls are all one-of-a-kind creations. Presenting Little Sunflower, a new child on the prairie. 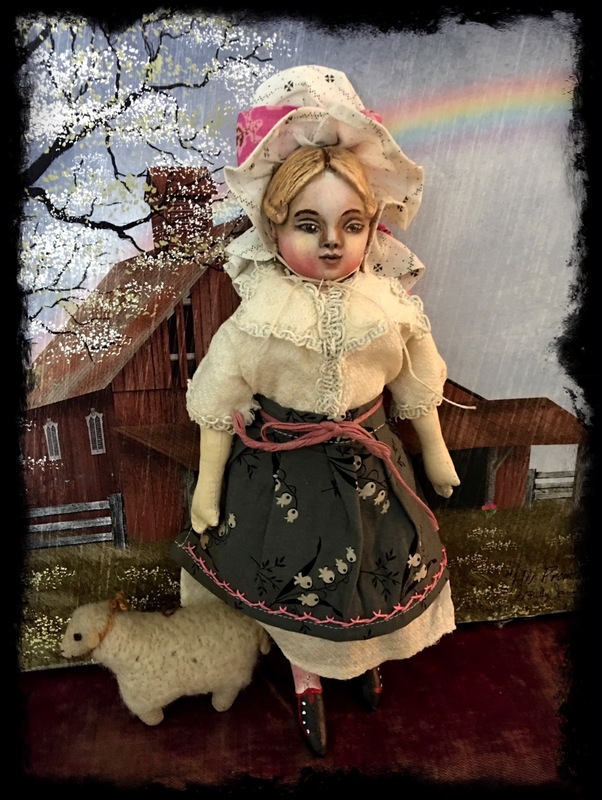 Sunflower is a 9.5" sculpted clay over cloth dolly; her body is entirely cloth, but her face and hair are sculpted in clay. She is one of a kind, and has oil-painted features. 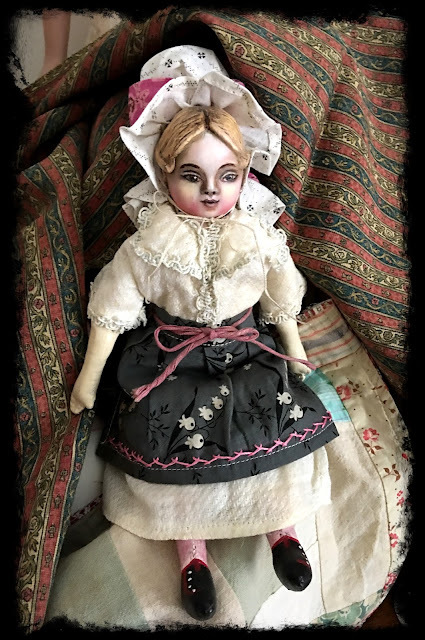 She wears multiple layers of antique clothing, including an apron, pantaloons, a slip, a dress and a bonnet that was made for her from antique materials. 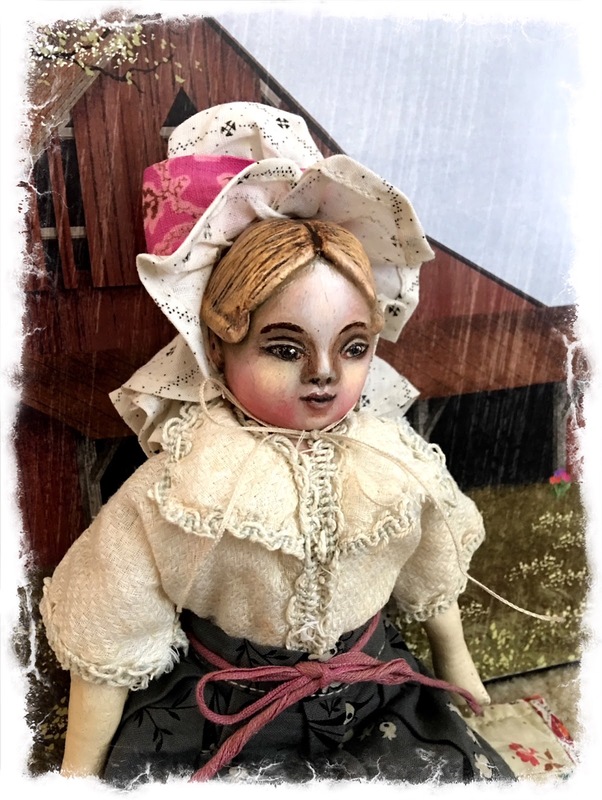 Small enough to slip into any collection, yet large enough to be noticed, this sweet girl is ready for her new home. Her purchase price is $450, with shipping of $15 in the U.S. She is also available for a 6 month layaway.